15 eCommerce Blogs to Follow! 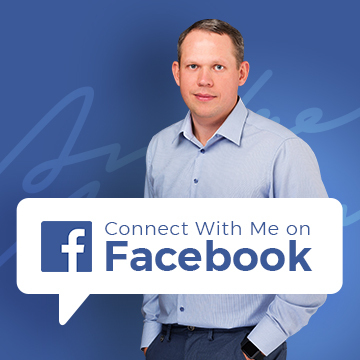 I always love to find out what blogs people follow and today I’m going to do just that – share with you the blogs I personally follow and why. Feel free to add your favourite blogs in the comment block below this post. I know – not very original, right? Yes, indeed – most of you are probably already following this blog. It’s a great eBay related news aggregator and I almost always find out about the latest eBay changes from the Tamebay blog, quite often – even before the official eBay announcements. This is the official eBay blog EVERY eBay seller should be subscribed to. I have subscribed to both the .com and .co.uk announcement pages as changes are generally brought to the US first and then expanded to the UK – so it’s a great way of staying ahead on what’s coming. Also, if you list any items on eBay.com then you should of course also be following the US related announcements anyway. Another cool resource… mainly focused around the eBay.com site and PayPal. It’s not as active as I would like but still, from time to time, there are some cool stories and eBay related articles. 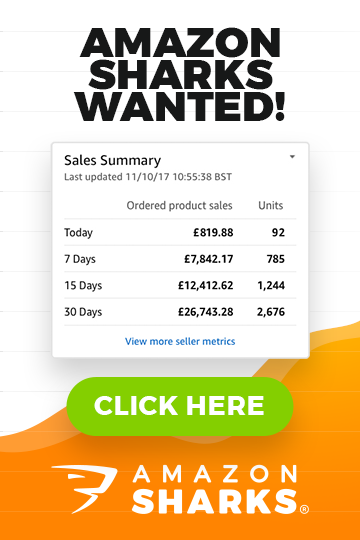 Run by Matthew Ogborne, this blog often features great tutorials on Amazon, cross channel selling, inventory management and other useful eCommerce stuff. I’m sure many of you are already familiar with this one as well. It’s a shame that Dan doesn’t post as much as he used to but that’s totally understandable – knowing how much he works I’m actually amazed that he has time to blog at all! Anyway, for anyone looking to start an import business, this blog is a must see! Make sure to browse through archives to read some of the valuable older posts too. If you’re into blogging, info products or any kind of content business, you’ll find this blog incredibly useful. Also, there’s TONNES of step by step SEO / link building strategies any eCommerce shop owner can use to increase traffic to their site. Need some motivation? Check out Pat’s monthly income reports to see what kind of money can be made online, working from home. Run by well-known blogger Yaro Starak. On this blog you’ll find tonnes of worthwhile information on niche selection, blogging, eCommerce, direct response marketing and many more topics. It’s mostly about the ‘Blogging’ business concept but many eBay and eCommerce sellers will also find it a valuable resource. If you’re into outsourcing, this blog should be of interest of you. Chris owns a call center in the Philippines with more than 200 employees so he knows a thing or two about outsourcing. He also runs Virtual Staff Finder which is a paid service that helps you find the best and most suitable employees for your business from the Philippines. Another blog related to outsourcing to Philippines. John Jonas is the creator of Replace Myself, Online Jobs and a few other websites related to outsourcing. I have been using OnlineJobs.ph to find my employees for years now so if you’re looking into outsourcing, you’ll find this blog a very interesting read. This is probably the most popular blog in the world that covers nothing but blogging! If you plan to start a blog for your eCommerce shop, check out their free and paid guides on how to become a successful blogger in no time! I have been following Tim’s success from the early days, with the release of his best-selling book, “The 4 Hour Work Week”. Tim was the person who first introduced the whole outsourcing concept to me which literally changed my life. And it’s not just about outsourcing – it’s about a LIFESTYLE you can design, it’s about time management, travel and many more such interesting topics. The one and only health & fitness blog I follow! The book “The Primal Blueprint” totally changed my life. Yes, my whole life as it’s not only about food or exercise. The whole concept changed my daily routine and now, at the age of 29, I feel better than I have ever before in my life. If you’re looking for ways to increase your productivity, fitness and overall well-being, I strongly recommend you check out Mark’s blog and ideally, get the Primal Blueprint book itself. This is the only personal finance blog I read on a regular basis. Again, it can be a real life changer IF you’re ready to sort out your financial situation, get rid of all the myths revolving around HAPPINESS in your life and retire at an early age. There’s also a very lively forum on the site. There are some more, smaller, blogs I also follow (such as the Big Commerce blog, Shopify Blog and others) but the ones listed in this post are the most important from my RSS reader. By the way – talking about RSS readers – you won’t believe me but up until last year, I didn’t use any RSS readers at all! I simply bookmarked each blog I liked and then re-visited them often to check for new content. DOH!!! I know, I know! 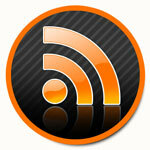 Currently, I’m using the RSS Feed Reader Chrome extension and I find it very handy and easy to use. The only thing I DON’T like about it is the feed update interval which can be set to a maximum of 60 minutes. 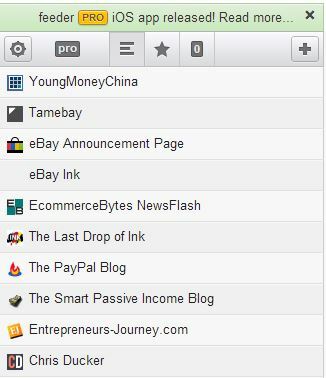 This means that every 60 minutes I get notified of new posts in my blog list. This can be annoying sometimes, especially when I’m working on an important task and see that new post notification and can’t stop myself from taking a quick look – so essentially this just distracts me from the main task I was working on. So yeah, I would personally like to set these updates to just ONCE per day but that could be just me? There are of course many other RSS readers; as browser plugins, desktop applications, mobile applications and what not else. Find one you like and use it to organise all the blogs you follow so you don’t waste time checking them all for new content every day. Ok, that’s about it for today’s post! If you have any good blogs related to eBay, eCommerce or any other topic, please share them with other readers in the comment box below this post. And don’t forget to SUBSCRIBE to MY RSS feed to get notifications when new posts go live on AndrewMinalto.com!